NetSuite create great software. BM Online implement great Not for Profit solutions for organisations using NetSuite. 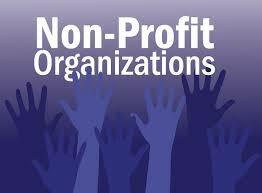 Contact us for special NetSuite licencing and services pricing for Not for Profit organisations. CONSTITUENT RELATIONSHIP MANAGEMENT Manage the entire lead-to-donor lifecycle with a single, unified set of tools. Better manage and cultivate important relationships with a 360-degree view of all constituents. Capture all constituent transactions through all touch points, including ecommerce, campaigns, call center transactions and gain a real-time view into status and history. Identify and target prospects for highly focused, personalized campaigns, promotions and communications. Establish customized workflows and processes to match the needs of your organization. Track all actions, from intake to closure. MARKETING AND OUTREACH Build rich profiles that can be used to create highly targeted and personalized communications. Create landing pages with an easy-to-use, drag and drop interface. Build reusable templates to create a consistent look and feel. Capture donor leads directly from your website and populate CRM automatically in real-time. Analyze campaign statistics and ROI from the start of the marketing campaign to the final transaction. Integrate with your other lead generating tools for global outreach. Achieve Financial Sustainability and Accelerate the Pledge-to-Payment Cycle FUNDRAISING AND DONOR MANAGEMENT Manage the complete donation cycle, from pledge to payment. Accept and process donations online, automate recurring donation schedules and standardize your donation processes. Capture pledges and immediately route to the appropriate development resource for standard or personalized follow-up. Streamline and automate your grants prospecting processes. Automate membership billing, establish flexible billing and payment schedules and manage all transactions and routings with a single solution. Real-Time Finance and Accounting for Nonprofits CORE ACCOUNTING Manage finance and accounting with comprehensive features, including GL, AR, AP, cash management, fixed assets and real-time financial reporting. Automate financial processes and improve productivity. Close with confidence and report financials quickly and accurately. Ensure proper security, support compliance and gain complete audit trail visibility. FLEXIBLE NONPROFIT FINANCE AND ACCOUNTING Achieve greater accountability and streamline fund accounting and grants management processes. Allocate costs and track and report across line items, grants, funds, programs and projects. Track restricted and unrestricted funds; differentiate between fully obligated and committed funds, and report against any imposed restrictions. Establish, track and manage encumbrances and establish spend controls. Track and report restricted funding with the Urban Institute’s Unified Chart of Accounts (UCOA) recommended process. Create custom charity reports such as a FASB 117 & 118 compliant statement of financial position. GLOBAL FINANCIAL MANAGEMENT Adjust for currency, taxation and legal compliance differences at the local level, with regional and global business consolidation and rollup. Global CRM provides visibility into every aspect of your multinational organization, even with multiple languages and currencies, including forecasts and campaigns. Manage inventory and fulfillment across multiple locations. Run multi-store/multi-country/multi-site ecommerce with country-specific web stores and websites managed from a single NetSuite account. FINANCIAL PLANNING Model and evaluate unlimited “what if” scenarios by fund, grant, program, campaigns—and update forecasts as needed. Establish rolling 12-month forecasts and analyze variance between actuals versus project results. Create and consolidate driver-based plans with customized data entry sheets and reusable formulas and allocation methods. Provide self-service and easy-to-use reporting across the organization.Gain Complete Visibility Into Spend SPEND MANAGEMENT From acquisition through payment, automate the complete procurement process for goods and services. Accept a variety of credit and debit card types and other electronic forms of payment for online payment processing needs. Establish budget and spend controls to ensure compliance with policies. Maximize the accuracy and timeliness of your timesheet and expense processes with online self-service tools. Gain real-time visibility into the spending trends across your organization. Effectively track and manage detailed costs associated with grants and funds. Increase Accountability, Stewardship and Transparency NONPROFIT ANALYTICS AND REPORTING Create nonprofit reports including State of Financial Position, Activities, Cash Flows, Functional Expenses and the Form 990. Ensure compliance and accommodate diverse donor/funder requirements with easy and timely customized reporting. Create reports and dashboards that combine operational and financial data and KPI’s. Analyze statistical measures and results for each department, location, funder/donor and more. Gain instant, real-time visibility for all key stakeholders, from high level summaries down to the underlying transactions. Ensure compliance and minimize risk with robust security, segregation of duties and fully auditable business processes.